Summer is a great time to get stuff done, don’t you think? For those in school, you have summer break. For those whose school days are behind them, summer translates to outdoor barbecues and vacations to the beach. For the Real Women of Gaming staff, summer means nerdy activities (just like the rest of the year). Read about them here! “I, too, seem to be missing out on all the cons. I am also really looking forward to Renaissance Fairs. I love dressing up in my garb and just having a lot of fun for a day. What’s your favorite summer nerdy activity? Let us know in the comments below! Posted in Spotlight and tagged cons, Conventions, Gaming, gaming conventions, Group post, nerd, Nerdy activities, Nerdy Summer Activities, Real Women of Gaming, Ren Fair, Renaissance Fair, Summer, Summer Activities, Video Games. Bookmark the permalink. With convention season in full swing, and our own visit to C2E2 coming up in a few weeks, I want to talk a little bit about bullying and harassment at conventions. These events attract a lot of people. In 2014, C2E2 alone boasted about 63,000 attendees. It’s only natural that a few bad eggs will show up in a batch that large. 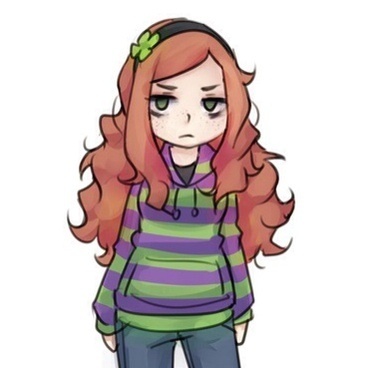 Just this year at MagFest, a cosplayer was harassed for dressing as Vivian James, a sort of mascot for The Fine Young Capitalists as well as the online consumer revolt against corrupt gaming journalists. This is just the most recent case of problems at conventions around the world. Taking this in perspective, conventions receive a great deal of scrutiny because they are supposed to be a place where people gather to share interests, fun, hobbies, and build a network. In reality, it is like a small city descending on an area, sometimes no bigger than a city block, policed by staff who really aren’t police. I’ve been going to conventions for years now, and despite the size, scope, and all the horror stories, they tend to be relatively safe, but that doesn’t mean we should take the atmosphere of a convention for granted. Posted in Anti Bullying, Special Guest and tagged Anti Bullying, C2E2, Convention, Conventions, cosplay, Cosplayer, Costume, Frags and Beer, freedom, gencon, Get Along, Guest Post, harassment, MagFest, Real Women of Gaming, RWoG, Vivian James. Bookmark the permalink. Crymson Pleasure: Great! Thanks for agreeing to chat with me. I’ve only done a few interviews, so we will get through this together. I’ve been following you and Cosplayer Nation for some time now and I can’t tell you how impressed I am with everything you’ve accomplished. So I’d love to know how Cosplayer Nation got started? Joshua Adams: Well it all started in late October 2010. I just saw a Uke Li mockumentary called Transcended 4 and asked him if she would come on to my show to be interviewed on cyberstationusa.com. After that, over a bowl of clam chowder at Legal Sea Foods, I asked him if he would be interested in doing a documentary about cosplay. That was in November of 2010. We started filming December 10, 2010 at an ice skating event known as Cosplay Ice Skate in downtown Boston. That’s how it started. Now we’ve been at over 30 cons with plenty of footage of many different cosplayers from Maine to Seattle to Hawaii to Puerto Rico, all across the United States. Crymson Pleasure: That’s incredible. I adore the documentary. I feel it’s not only an amazing change to take a positive look at cosplayers, but it shows off the true art form that cosplay is and all of the hard work you’ve put into it. What was your inspiration for the documentary? Joshua Adams: It was because my mother had passed away from pancreatic cancer in April of 2010. She wasn’t a very clear woman and used to take me and my sister on trips to see many different places. My father would go, too, but both the day trips during the summer time we couldn’t go because of work. There’s an outgoing woman, so I wanted to do something for her memory as well as educate cosplayers and non-cosplayers about the history of the culture. It’s still and always will be a fascinating subject and we needed a documentary for it. There are always new of documentaries about the history of comic books and superheroes, but there was never any about cosplay until we started. Afterwards, I found out that there were three other people doing the same thing we were doing. But I wanted to show people all the hard work that we were putting into our documentary. So I let people see the interviews that we did. Crymson Pleasure: I’m so sorry for your loss. It is truly amazing what our family can inspire us to do. What got you interested in cosplay? Joshua Adams: All the time and effort that these people were putting into making these costumes. My father is an artist, so I grew up around art sculpture other things like that. Crymson Pleasure: Have you ever cosplayed? Joshua Adams: Yes, I’m dressed up as The Dude from The Big Lebowski. I put my own spin on The Dude. I grew my hair long and put on a Hawaiian shirt and flip flops with shorts, so it’s a Hawaiian version of The Dude. I grew up my mustache and had The Dude’s goatee. Crymson Pleasure: I still have yet to watch that movie. I have to put it on my list. I have several friends very disappointed in me over that. What do you think is the most pressing need of the cosplay community? Crymson Pleasure: Do you see any trends growing in the cosplay community? Crymson Pleasure: Fair point. I had no idea about Attack on Titan until I walked into Otakon and there were a ton of AoT Cosplayers. Are there ever things that shouldn’t be cosplayed? Joshua Adams: Not that I can think of. Just remember some cosplay can offend people. But as long as you enjoy it. I mean, just don’t dress up as a Nazi and walk around the Holocaust Museum. I believe in using common sense. Crymson Pleasure:That has to be my favorite response ever. How do you feel about current attitudes in the cosplay community toward gender, body type, or race affecting a person’s costume? Joshua Adams: I really can’t say. As long as the costume fits you, not the other way around, or it motivates you to improve yourself. But you’ve got to remember this: just be yourself and have fun. Crymson Pleasure: What are your opinions on Cosplay is Not Consent? Have you ever experienced harassment or bullying while filming or at a convention? Joshua Adams: Not at all. All the cosplayers and non cosplayers that we have interviewed have always been polite and courteous to us. Crymson Pleasure: So what is the next step for your documentary? Where will you be showing next? Joshua Adams: Well, we’re trying to get into more cons to show it and film festivals. We’re going to Long Island Comic Con on June 13th through June 14th. Shown at Boston Comic Con and Shoot City Filmfest, as well as being in the Geeky Awards. Crymson Pleasure: Will you be showing at Otakon this year? Joshua Adams: I can’t answer that question right now. Crymson Pleasure: Well let me know if you do because I’d love the chance to meet you face to face. Do you have any comments or advice for our fans? Joshua Adams: Just keep on doing what you love to do and never quit, no matter how hard it is. Crymson Pleasure: Beautiful advice. Lastly, anything you want to throw out there? Joshua Adams: Go to our like page on Facebook and like us as well as our Youtube page. Crymson Pleasure: Awesome, Joshua! Thank you so much for hanging out with me tonight and if there is anything we can ever do to help, just let me know! Joshua Adams: No problem and we will. You have a good night. Posted in Special Guest and tagged Convention, Conventions, cosplay, Cosplayer, Cosplayer Nation, Costume, Crymson Pleasure, Customization, Documentary, feature friday, Gamers, Games, Gaming, Interview, Joshua Adams. Bookmark the permalink.